Pyramid Chart represents a single data series with values displayed as parts of a whole in a triangular shape. Due to its shape, it is often used to display hierarchically related data items. 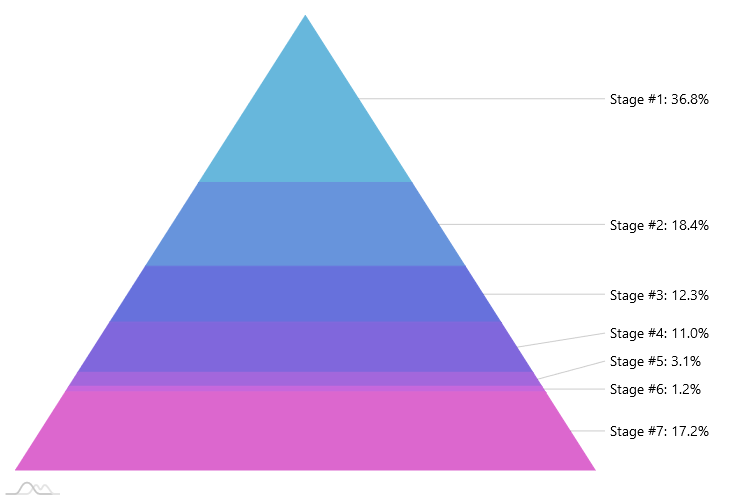 Conceptually, Pyramid chart is the inverse version of a Funnel chart.